Nelda Clinkenbeard was located safely after a Silver Alert went out earlier this week. The search for a woman with dementia who walked out of an area nursing facility had a good ending when she was located safely Monday evening, September 17. An endangered silver alert advisory was issued on Monday, September 17 at approximately 4:30 p.m. from the Missouri State Highway Patrol. According to the advisory, Crane Police Department was called in to help search for Nelda Clinkenbeard, a 75 year old woman with dementia who left the Ozark Mountain Regional Healthcare Center in Crane. Clinkenbeard was located about a mile from the facility. 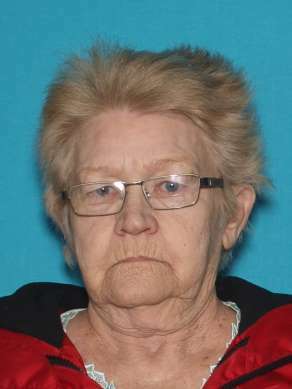 The original silver alert said she may have been heading toward Marionville. Although Clinkenbeard was located at approximately 4:45 p.m., the official Silver Alert from Highway Patrol was cancelled at around 6 p.m.
​The reason it took so long for the authorities to be contacted was not apparent as of press time. However, everyone is thankful that she was found safely.